At this point in my trip I really started to feel like I was becoming an expert at Kenya Airways, with this leg of my journey being the 5th and 6th flights on the carrier in about a week’s time. 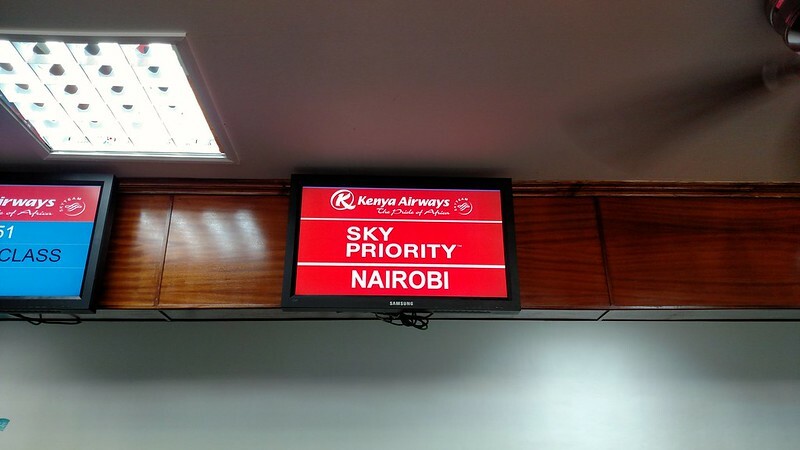 When I was originally booking my trip, I had surveyed all the possible destinations that I could get to in Asia via Nairobi with Kenya Airways. There weren’t a large number of options, however they did have a Nairobi to Guangzhou flight that made an intermediate stop in Bangkok. Thailand had been one of the destinations that I had wanted to visit for some time and this made the decision easy for where to make my stop for two nights. Also, the flight on the NBO-BKK leg also was on the Boeing 787, which after my Dubai flights were changed to 777s, would make for my first time flying this aircraft! 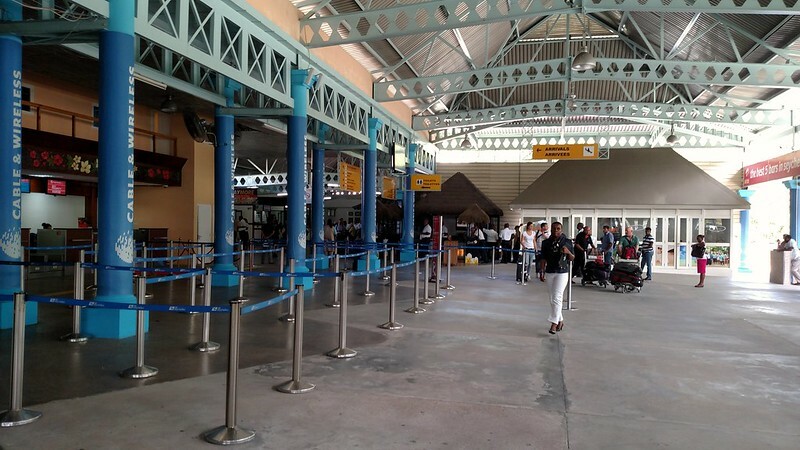 I arrived from the Hilton Northolme in the early afternoon to the open air terminal at the Seychelles International Airport. The place was hardly busy, and I made my way to the Kenya Airways counter located at the end of the row. There was no one in the Sky Priority line, so I managed to have my bags tagged and boarding passes issued fairly quickly. From there it was through Immigration to be stamped out, which again was painless and security wasn’t rushed either. 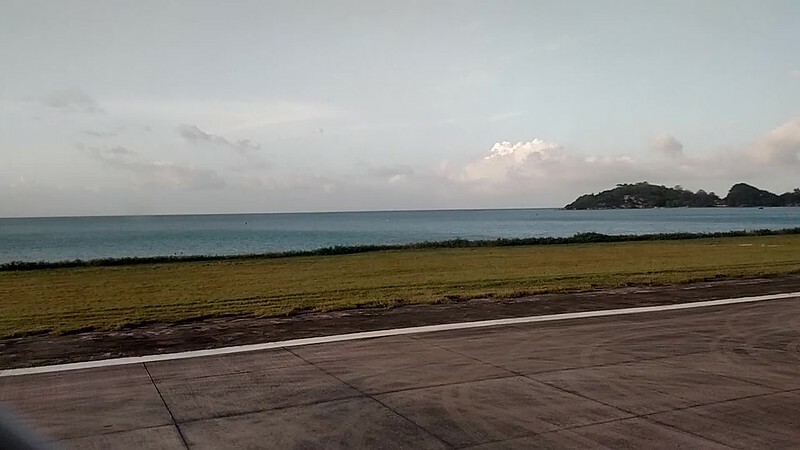 I mean, really my departure from the Seychelles was about as relaxed as my stay for the duration! 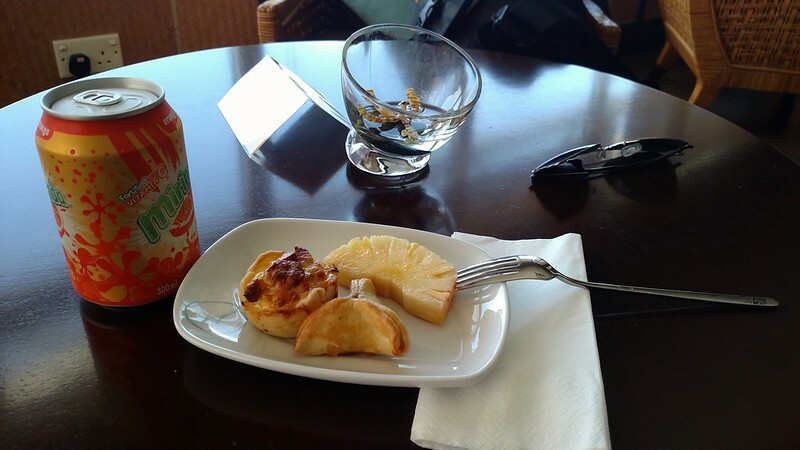 As a SkyTeam Elite Plus member, Kenya Airways provided me with an invitation to use Air Seychelles Lounge post-security. 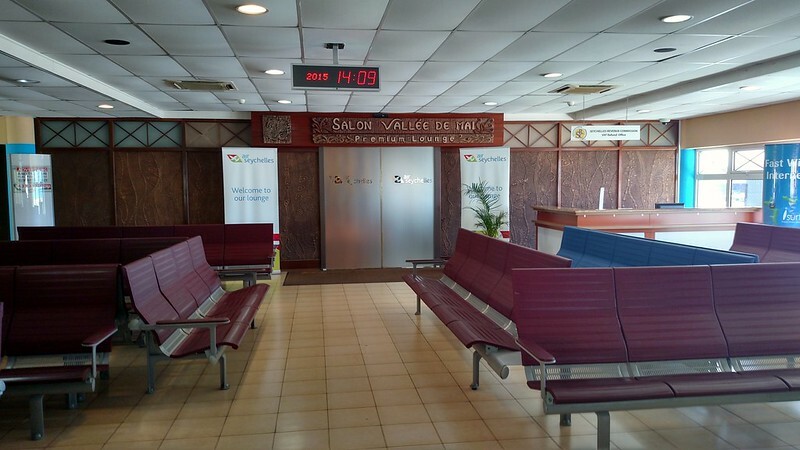 Located on the second floor of the terminal, it is the only lounge at the airport. 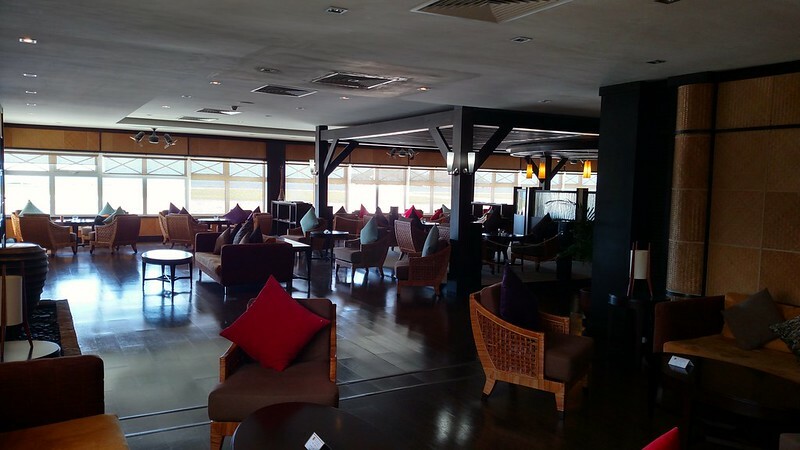 Upon Entering, I handed over my invitation to one of the lounge agents, and proceeded into the fairly large and mostly empty lounge. I’m sure when there are multiple flights leaving at the same time in the evening and night it gets pretty busy, but thankfully in the afternoon it was not. The space is broken up into a couple of different seating areas, which helps break up the space a bit, and also features nice large windows running along one of the walls. 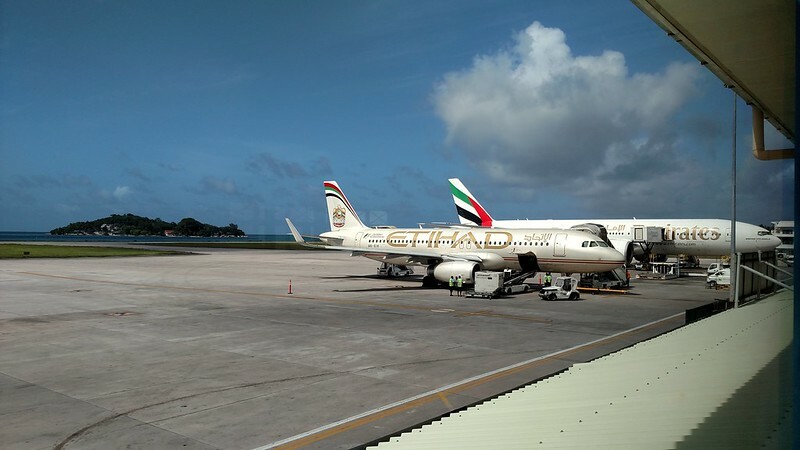 The result is a very good amount of natural light being let in, which means less use of lamps, and being able to enjoy one last view of the Indian Ocean before boarding your flight! Of the food selection, there was a decent spread of snack foods laid out and a decent selection of beverages. 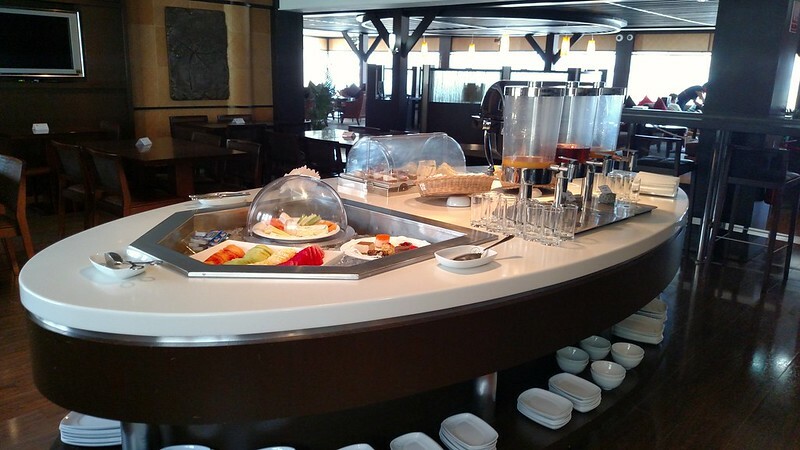 Everything was self-serve which makes things easy; they were good though of making sure everything was kept fully stocked, and I saw the staff come out a number of times to top off both food and beverages. As it got close to boarding, I decided to head downstairs to the gate area. There’s only a couple of gates here and the area is quite small with just a small duty free shop and small cafe available for the majority of passengers. I guess I was a little too anxious, because although I had left a good bit after the inbound flight had landed, I still found myself waiting at the gate for longer than I would have wanted to. Boarding commenced a little late, but given that this was again not a very full flight, it did not take very long to get everyone on-board. I had picked a window seat again for this flight, although this time on the opposite side of the aircraft. This was to ensure that I would get another good view as we took off and departed paradise! 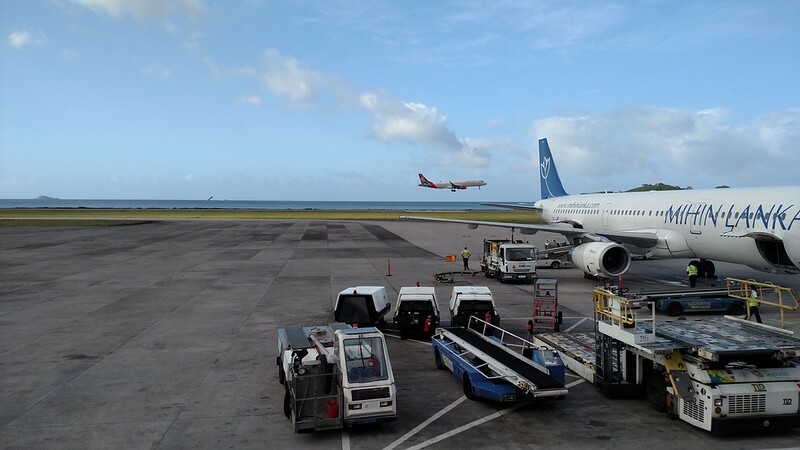 The service on the flight to Nairobi was nearly identical to my flight a few days earlier inbound to the Seychelles, and as such there isn’t too much to go into detail on. 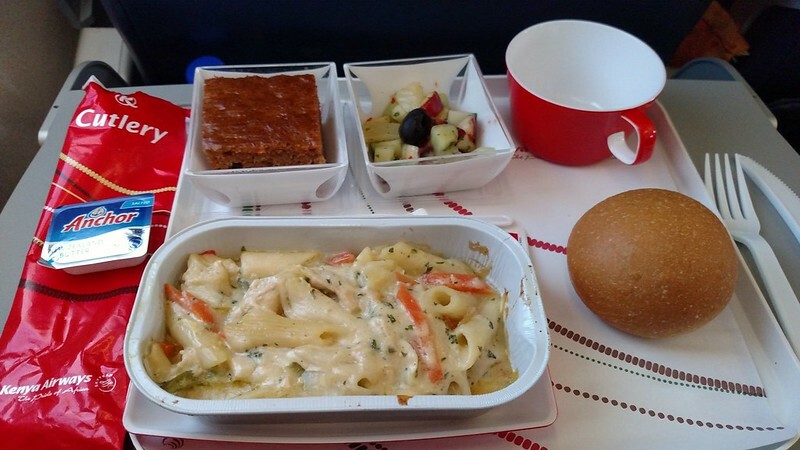 Like on that flight, a meal was served, and I had opted for the pasta dish this time. It wasn’t too terrible, being that it wasn’t super overcooked pasta. 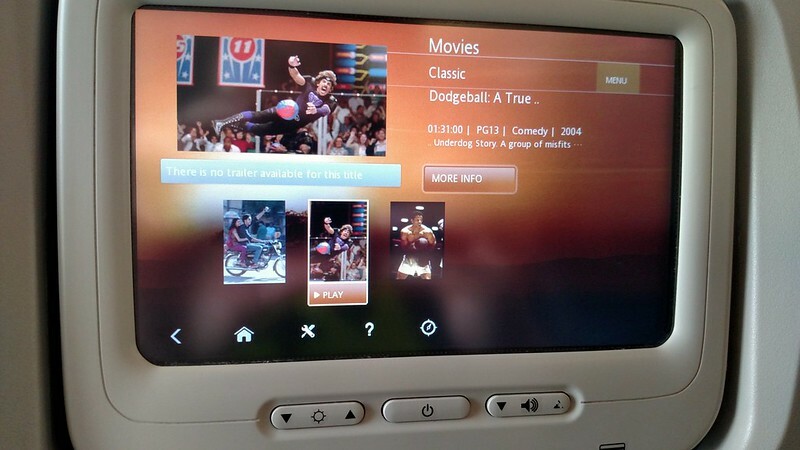 I also settled into watch a couple of movies on the seat-back IFE system, and amusing myself that the movie Dodgeball was considered a ‘Classic’. Three hours after taking off from the Seychelles, I was back on the ground in Nairobi for the third time in less than two weeks. 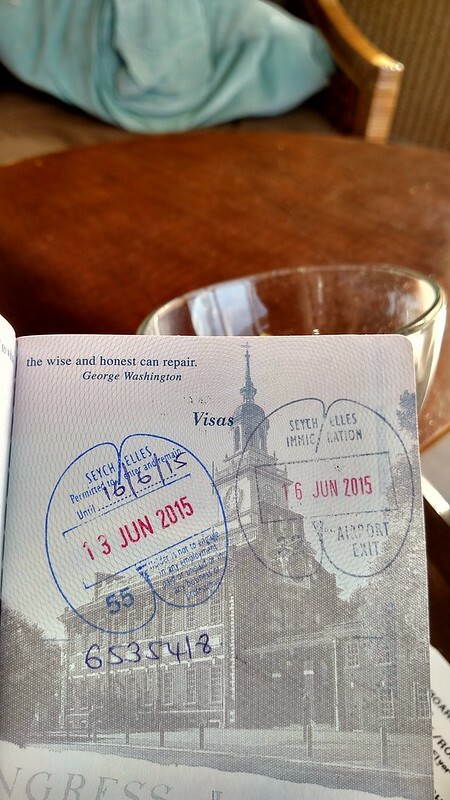 And yet, despite now having been through the airport in Nairobi that many times, I never once cleared through immigration and customs to add another country to my list and another passport stamp. Supposedly US Citizens can get a visa on arrival, but it didn’t really ever seem like a good idea for any of my layovers. That just means, I’ll give it a proper visit at some point in the future! 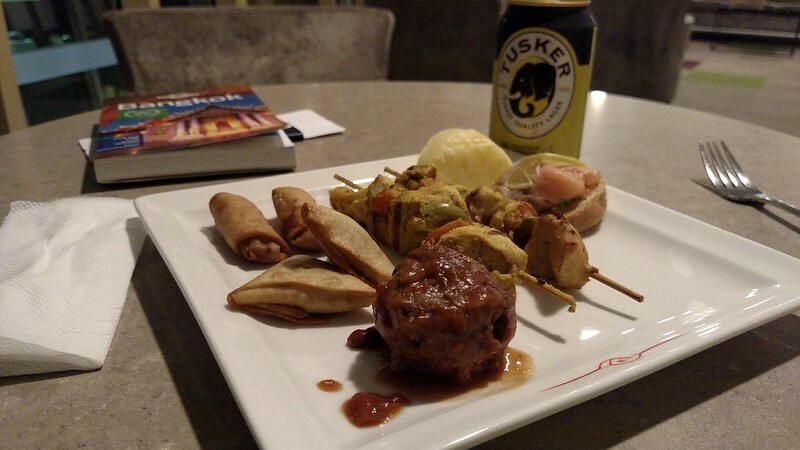 With clearing transit security again very quickly, I made my way straight to the Pride Lounge as the better of the two lounges located at Jomo Kenyatta International Airport. With a little under five hours to kill between, flights I settled in to start out with some dinner. The selection wasn’t much different than my previous visits, and overall was decent for lounge food. Definitely better than what Delta puts out in the Sky Clubs! In my time here, I started trying to figure out what I would do during my stay in Bangkok, as much like the rest of this trip, I hadn’t actually planned too much despite all the research that I had completed! Thankfully, I was able to come up with a rough idea for my few days there and even managed to set up some tentative plans to meet an old friend who had moved over there earlier in the year to teach English. As always, I headed to the gate way too early and found myself hanging around in a gate area for much longer than I had wanted to. Thankfully, unlike the gate used for the Dubai flight, you weren’t held captive! 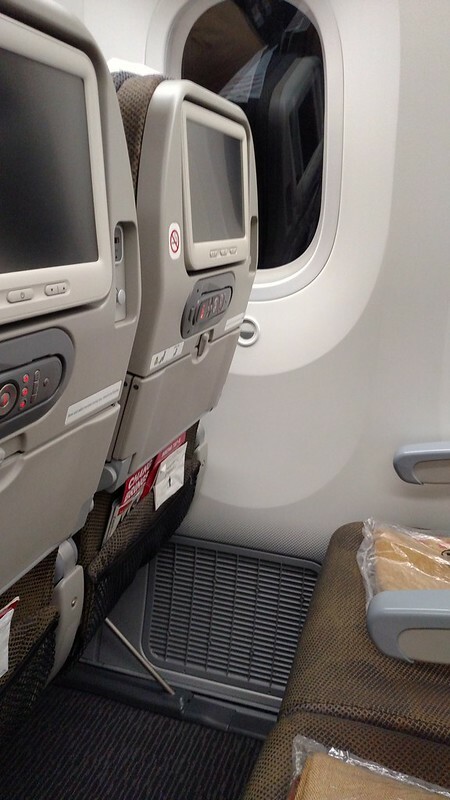 Apparently, Row 12 is my favorite row on Kenya Airways! Every single flight that I flew with them was apparently in that row, across three different aircraft types. With boarding being through the same gate as the flight to the Seychelles, it meant that tonight’s departure would be from a remote stand. As always, this is my favorite way to board aircraft, and for the first time boarding the 787, this really gave me an opportunity to take in the aircraft and the massive GEnx engines mounted under the wings. On-board, I found the aircraft to rather spacious, in that the cabin felt much higher than on other comparable Boeing and Airbus aircraft. 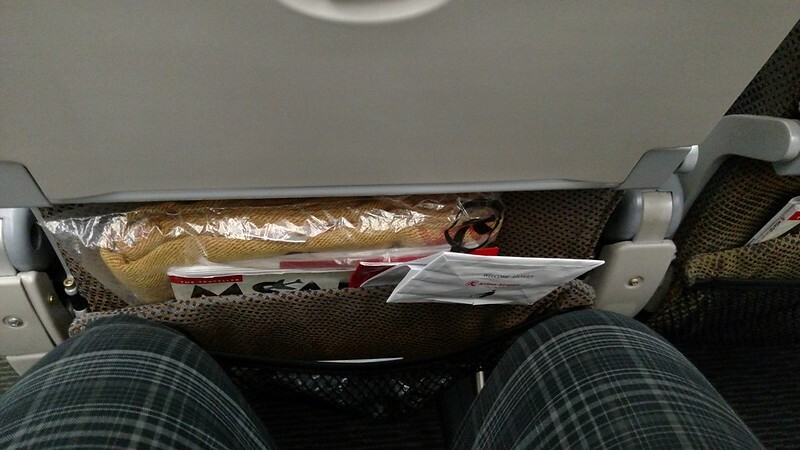 Unfortunately, this did not translate to the pitch between seats (legroom), as it was still fairly cramped like my other Kenya Airways flights. According to the seat map prior to departure, it had appeared that I would be lucky and have all three seats to myself. As boarding continued with group after group being bused to the aircraft, it continued to look this way. Then someone came up and asked me if anyone was sitting in the window seat; I could tell he hadn’t booked that seat, so I told him that boarding was still in process and it might belong to someone. He walked away, and I thought I had achieved victory, but after boarding stopped he came back to take the seat. On the plus side I didn’t have anyone in the middle seat. Also meant that I didn’t get to play with the electric dimming “window shades”. My goal for this flight really was to try sleeping as much as possible. It was obviously difficult, but I managed to at least get a few hours here and there. 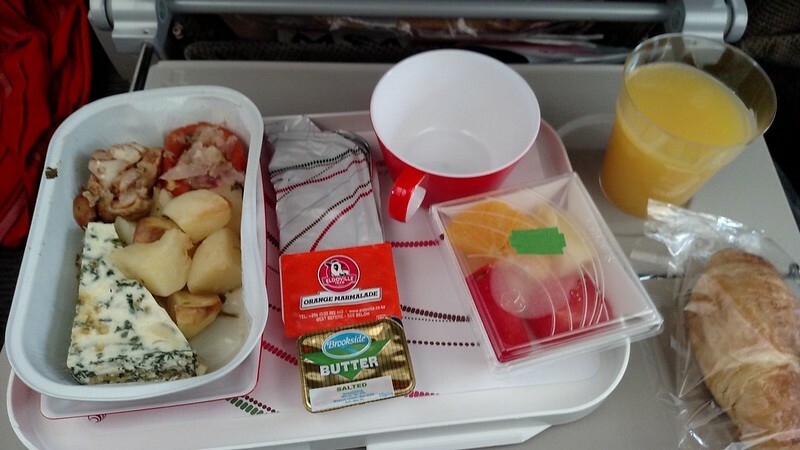 I didn’t sleep so soundly that I missed any meal services, which were pretty similar to the other flights. For dinner, I had decided to go with the lamb and rice meal which came with a desert and a roll. Fairly basic, but enough to round out the lounge food I had and help me fall asleep. As for the breakfast, I wish I could remember what it was. Was it an “omelette” or a quiche perhaps? All I have is this picture and it isn’t ringing the slightest of bells. Perhaps I was a little on the groggy/tired side by the time I ate this a few hours out of Bangkok. The Now Mystery Breakfast; Let Me Know What You Think It Is! The flight landed in Bangkok in the middle of an absolutely gorgeous day with the sun shining brightly with a few clouds in the sky. We taxied into our gate passing by many unfamiliar and exotic airlines flying all across southeast Asia from Bangkok. 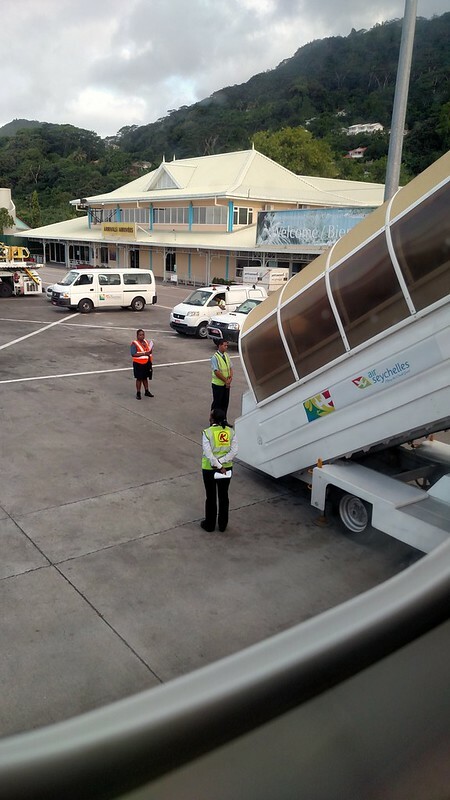 Thankfully, we were not at a remote stand for our arrival, for a speedy disembarkation. With Bangkok being an intermediate stop for this flight to Guangzhou, only a handful of passengers disembarked; certainly less than half of the aircraft. 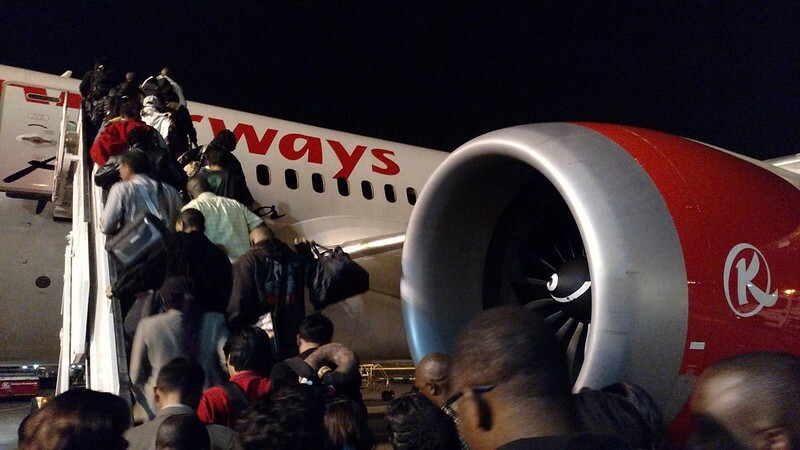 Back in Nairobi you could tell that the majority the plane appeared to be going all the way to Guangzhou, which makes sense given how much China has been making inroads in Africa. After a stop at the Quarantine desk (since I was on a flight from a Yellow Fever country, despite not having entered that country), which unlike in the Seychelles didn’t want to see my Yellow Card since I was only transiting, I kept snaking my way through the airport to immigration. It was very busy at the immigration counters, but the lines moved fairly quickly, even in the foreign passport holder lines. 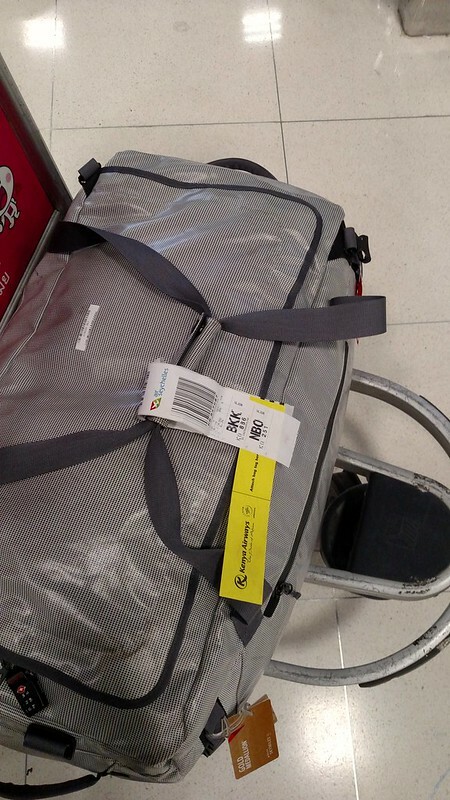 And since there was the fairly long walk and the little wait at immigration, by the time I had made it to the baggage claim before customs, my duffel was already waiting for me, which gave me an easy exit out through customs and to a waiting taxi. Claimed My Bag, Ready To Go! 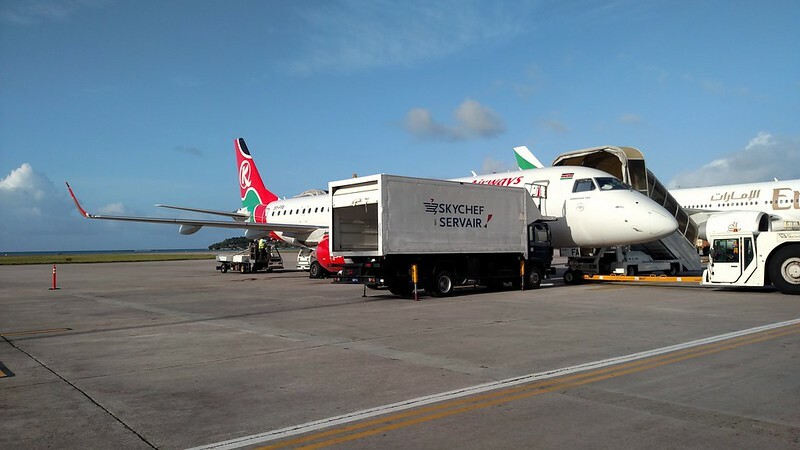 With the Seychelles – Nairobi and Nairobi – Bangkok flights being my fifth and sixth (and final) flights on Kenya Airways over a seven day period, i felt like I had plenty of opportunity to get a good evaluation of the airline and how it is run. I will say, when I fist told coworkers that I was going to be flying Kenya Airways, I got some confused looks. And to be honest, despite reading a number of positive reviews online beforehand, I didn’t really know what to expect in the end. 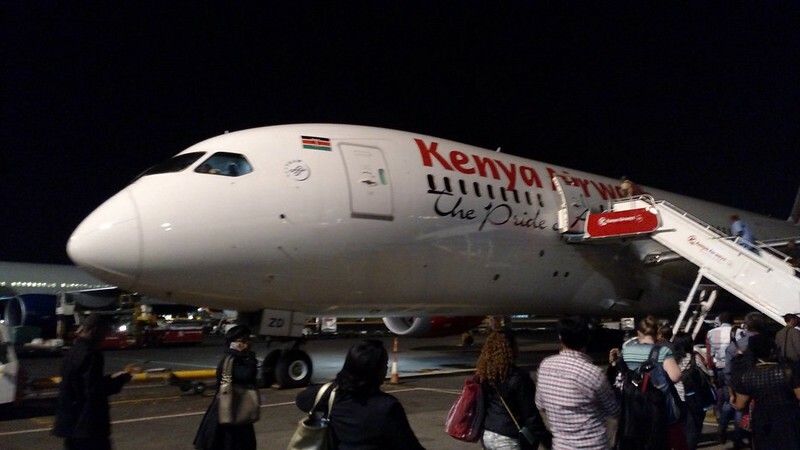 If you have read my posts about flying to Johannesburg to Dubai or Dubai to the Seychelles, then you know that generally, I found my Kenya Airways experience to be positive. The flights more or less ran on-time with no obscene delays nor a single cancellation (which really would have thrown my trip a curve ball!). I found the flight crews for the most part to be friendly, smiling and during the daytime flights passing through the cabins throughout the flights (the night flights not so much, but that’s pretty typical I have found across nearly all airlines). The aircraft, with the exception of my flight in and out of Dubai on a Boeing 777 were all on very new aircraft (Boeing 737-800, Embraer 190, and Boeing 787). The 777 did feel a little bit dingier and worn out, and I hope that Kenya Airways moves to refresh those aircraft with the more modern interiors that their other aircraft are equipped with. 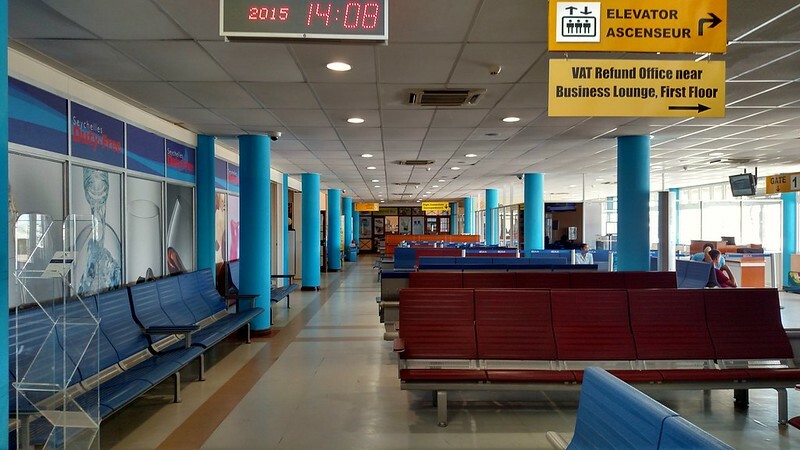 Transiting in Nairobi was extremely painless! Being near the front of the aircraft always helps, but I never experienced a wait to go through transit security (even if I had not used the Sky Priority line). 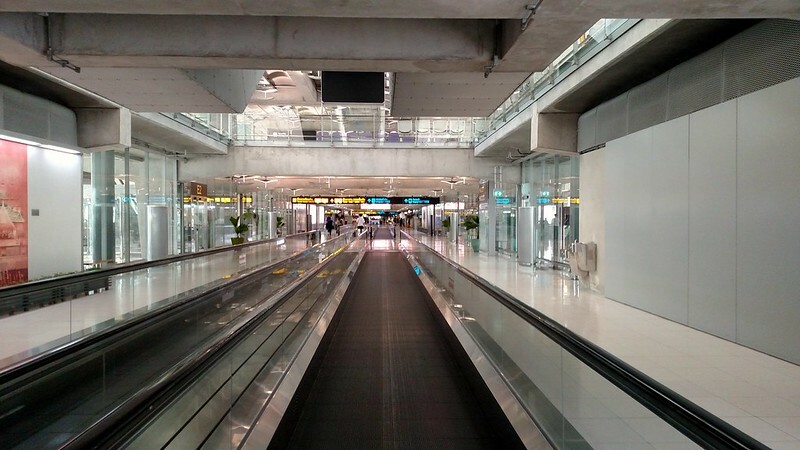 The International Terminal was clean and modern, although the terminals are still in a bit of reconstruction. 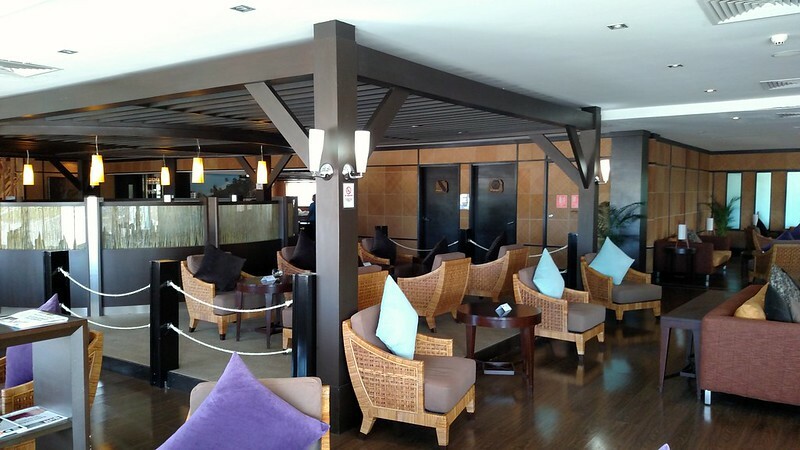 The large Pride Lounge is a very nice lounge, and the Simba Lounge isn’t bad for what it is. Although I do recommend just skipping the Simba Lounge and going to the Pride Lounge due to size and amenities. One thing that I do wish they had done differently with the lounges would be to make it easier to get a shower; you have to track down the bathroom attendant yourself to get let in or put on the list. 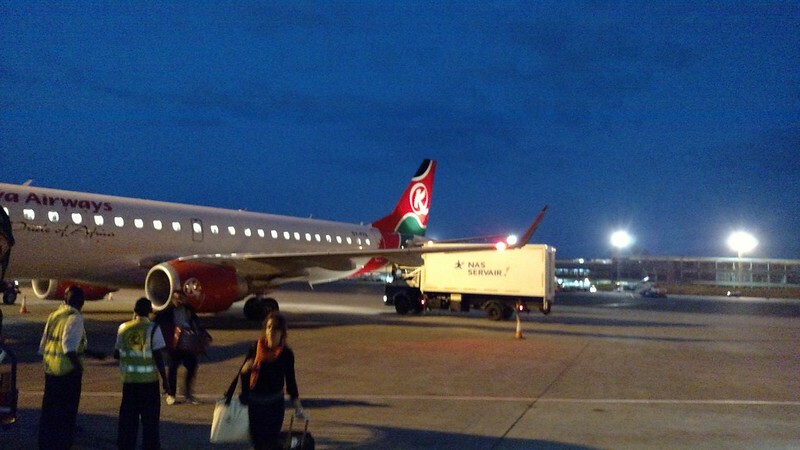 So overall, would I fly Kenya Airways again if I were in Africa? Sure! I think this airline is going to keep on getting better over the next several years, and with being a partner with Delta Air Lines, that means some great redemption opportunities for award tickets! 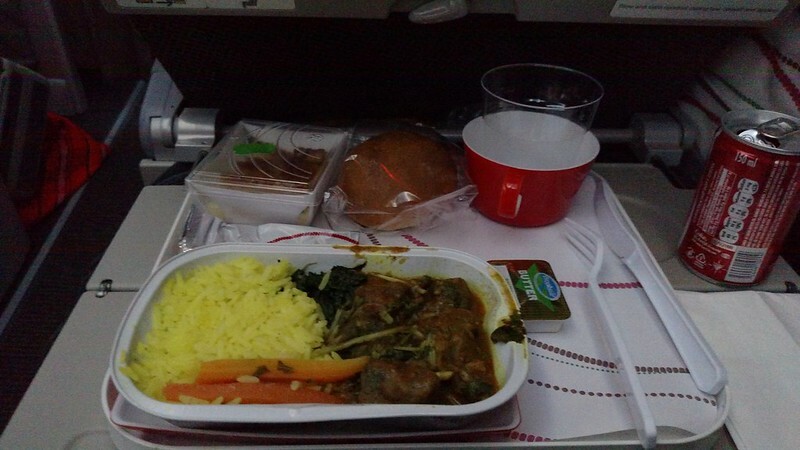 This entry was posted in Africa, Kenya Airways, RTW, Seychelles, Thailand, Travel, Trip Report. Bookmark the permalink. Follow any comments here with the RSS feed for this post. Post a comment or leave a trackback: Trackback URL.